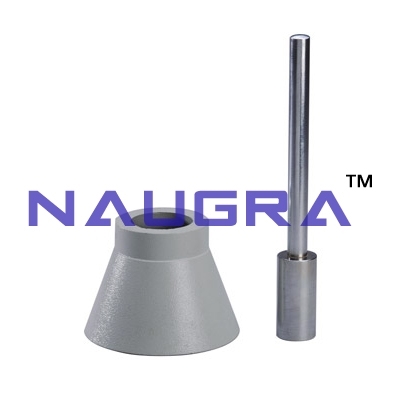 Sand Absorption Cone And Tamper (NATM-M12) for Aggregate Testing - for engineering- Consists of a conical metal mould and a metal tamping rod having circular tamping face 25 mm dia. We are leading manufacturers, suppliers & exporters of Sand Absorption Cone And Tamper For Testing Lab for Aggregate Testing Lab. Contact us to get high quality designed Sand Absorption Cone And Tamper For Testing Lab for Aggregate Testing Lab for schools, colleges, universities, research labs, laboratories and various industries. We accept bulk orders for government tenders in all countries around the globe.